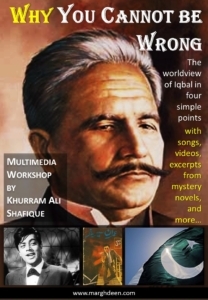 The worldview of Iqbal can be said to comprise of four basic points pertaining to the essential and the ethical nature of human being, the principal form of vice, and the meaning of salvation. The aim of this course is to develop a familiarity with those points. Some relevant excerpts from the key writings of Iqbal will also be shared with the participants, along with some very popular songs and videos from the mainstream cinema that reflect the same ideas. Everybody from age 14 to 104 can (and should) attend! 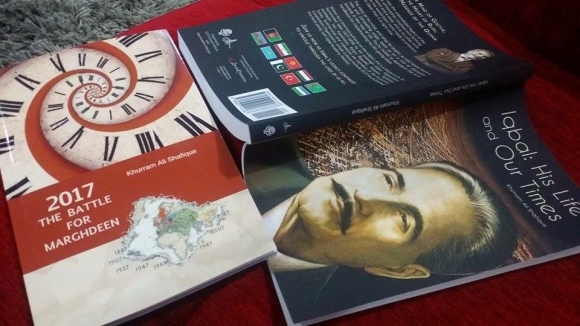 Khurram Ali Shafique is the author of several books on Iqbal, including “Iqbal: an Illustrated Biography”, for which he received Presidential Iqbal Award, and the recently published “Iqbal: His Life and Our Times”. He has vast experience as an educationist. He is the founder of Marghdeen Learning Centre and is the pioneer of online courses in Iqbal Studies, which he has been conducting since May 2011. What is the essential nature of human being? Ethically speaking, is human being good, bad, a mix of good and evil, or tainted by sin? What is the principal cause of all trouble? What is the highest achievable state in our ethical progress? Does the poetry of Iqbal reflect the same worldview as his prose?